Our goal at Porter Brauen Property Management is to free you from the day-to-day management tasks while feeling confident that your property and tenants are getting the care that is needed. We are here to help you through every step of the Rental Management Process. You pay nothing if your property is not rented, all fees are collected after rent and deposits are processed. We charge a leasing fee of ½ months rent and a monthly management fee equaling 10% of gross rent proceeds. No management cost will accrue while the property is vacant. Rental income can cover some or all of the mortgage payments, freeing you from having to dole out the entire amount each month. You might even make a profit if your monthly expenses are low enough. Build equity Wait for the housing prices to rebound as you rent your home. Possible tax advantages Contact your tax accountant on mortgage interest, taxes and other possible deductions. 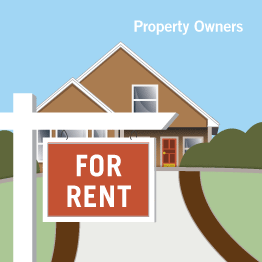 Are you familiar with fair housing and landlord/tenant laws? Do you have a current, professionally crafted lease and related agreements/forms to minimize your exposure to liability? download our Commonly Asked Questions.